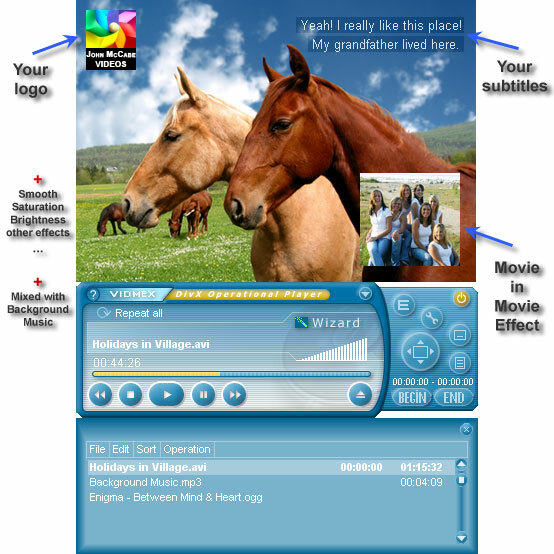 Vidmex is a multimedia player that allows you to extract fragments from video and audio files, merge video/audio fragments, play music and video with customizable subtitles, adjust video effects in real time and add effects to files, add subtitles to the extracted video clips, convert media files, mix audio/video, insert custom logo or animation. Easy-to-use interface, Playlist (sort, filter, set playback range for files), global hot keys, skins. Qweas is providing links to Vidmex 1.39 as a courtesy, and makes no representations regarding Vidmex or any other applications or any information related thereto. Any questions, complaints or claims regarding this application Vidmex 1.39 must be directed to the appropriate software vendor. You may click the publisher link of Vidmex on the top of this page to get more details about the vendor.